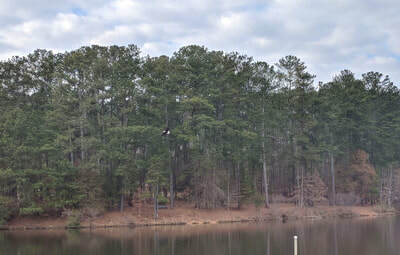 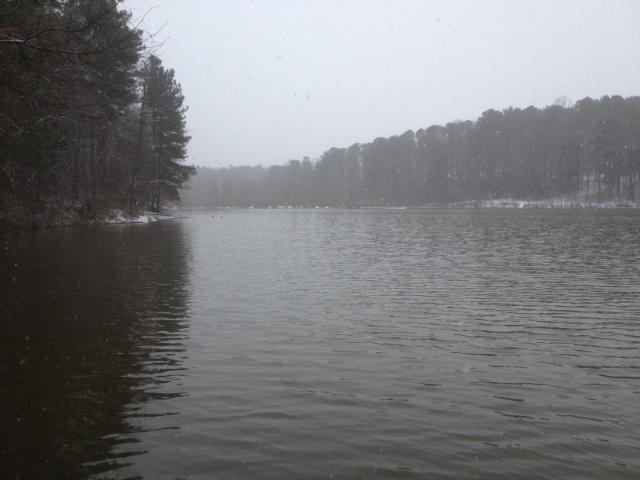 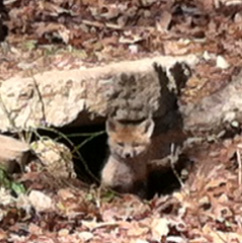 Here are some recent photos from around the Park confirming that the weather is starting to warm up! 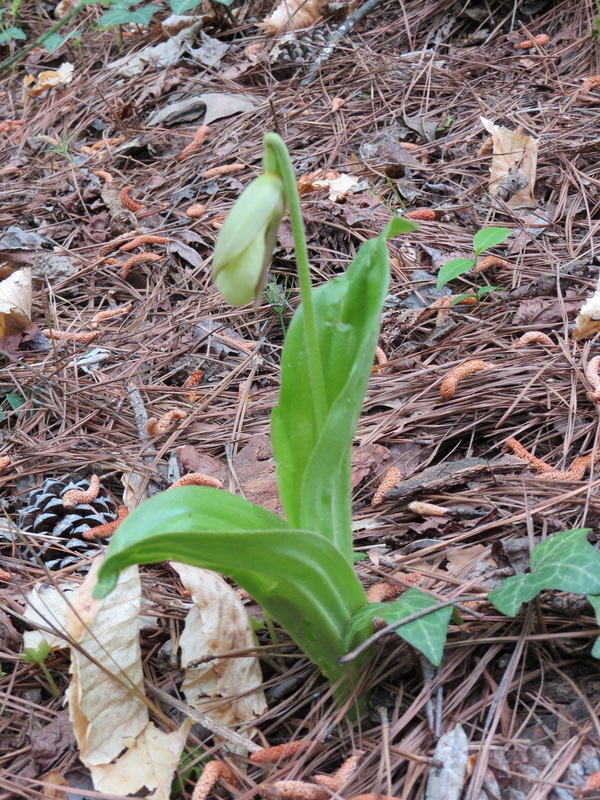 This wild lady slipper orchid is a sure sign of a healthy park ecosystem! 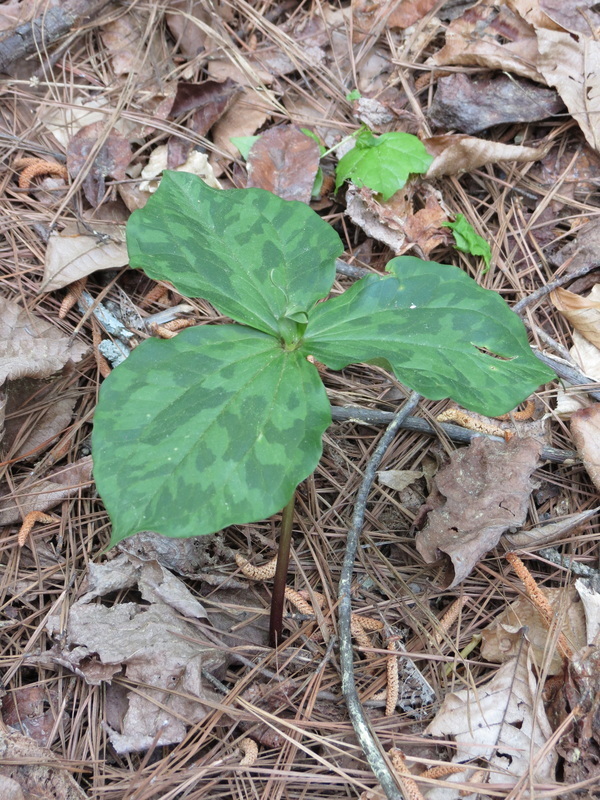 Trillium is another native plant to look for in the Park! 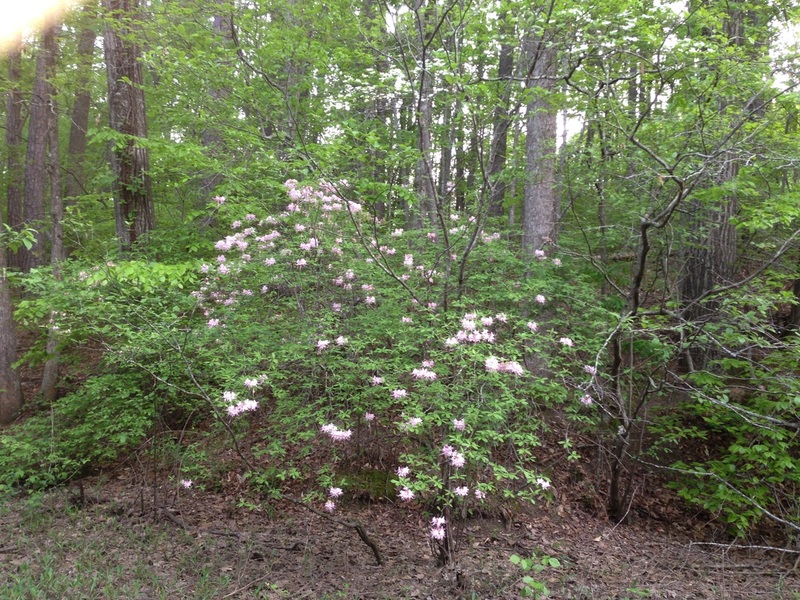 Thanks, Ted, for these pics of the native azalea blooming in our park! 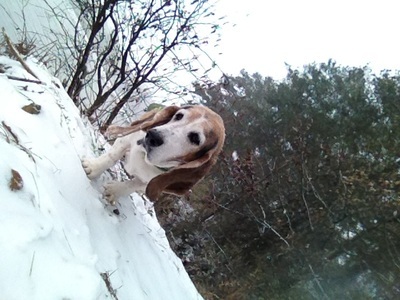 Karen submitted this "Gotcha!" photo! 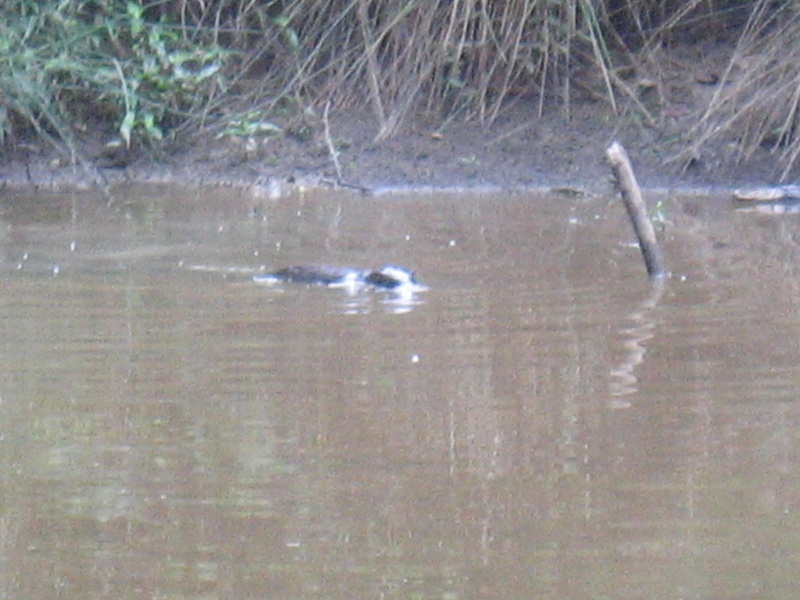 The turtles were out in-force, basking in the sun. 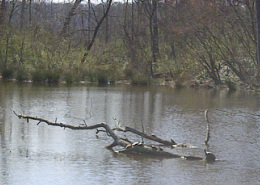 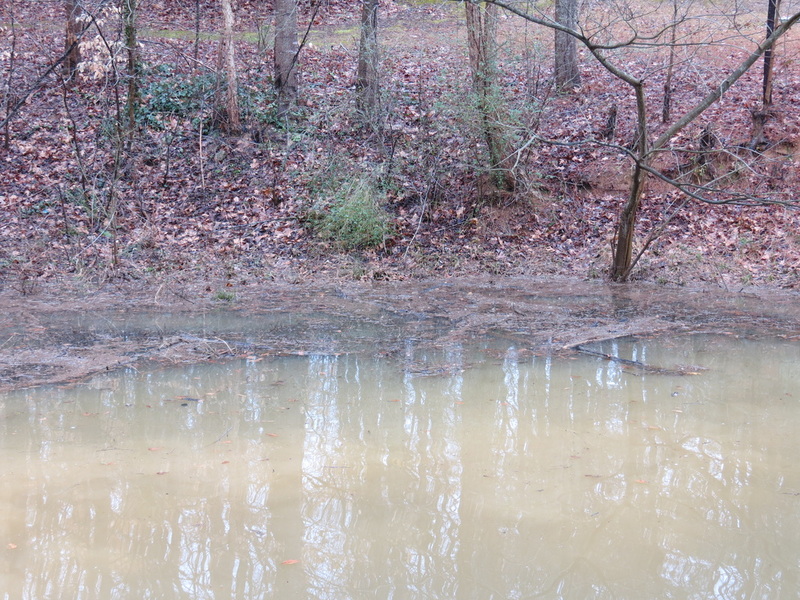 And the wetlands have benefited from the rain. 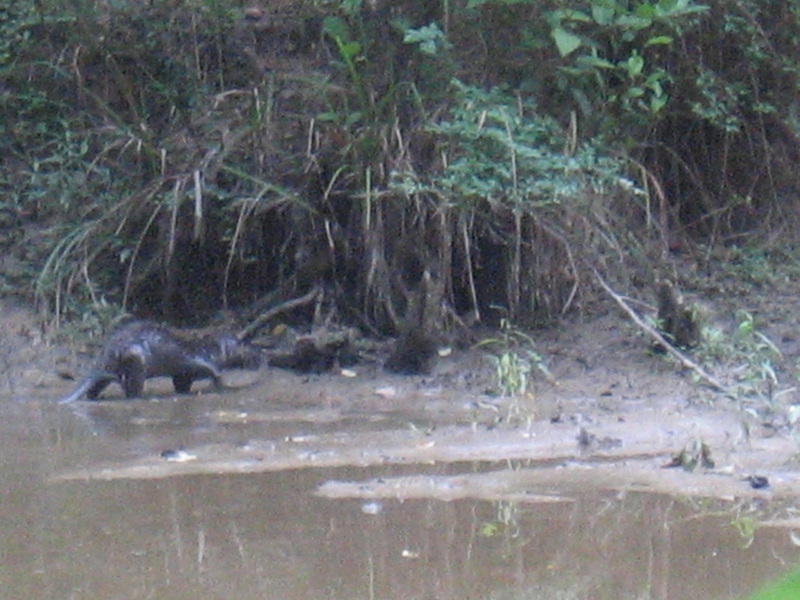 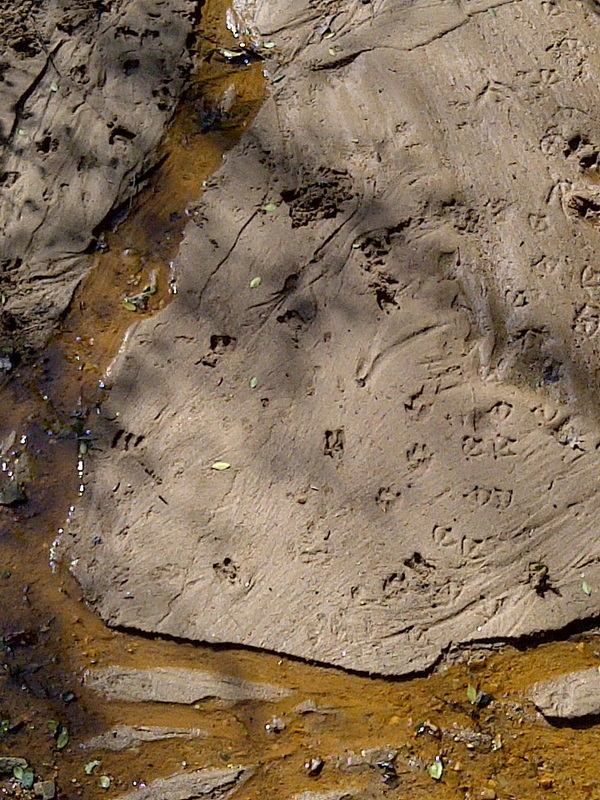 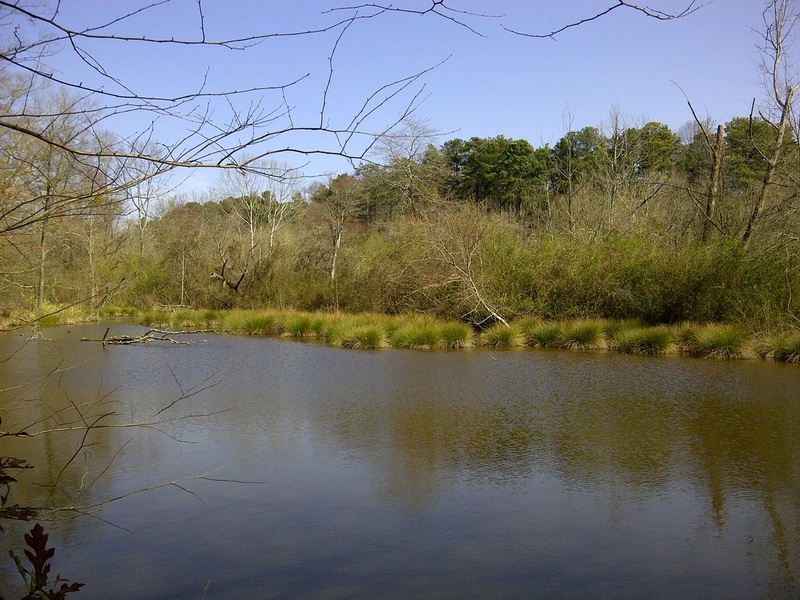 Can you identify all the various animals that visited this stream bed? 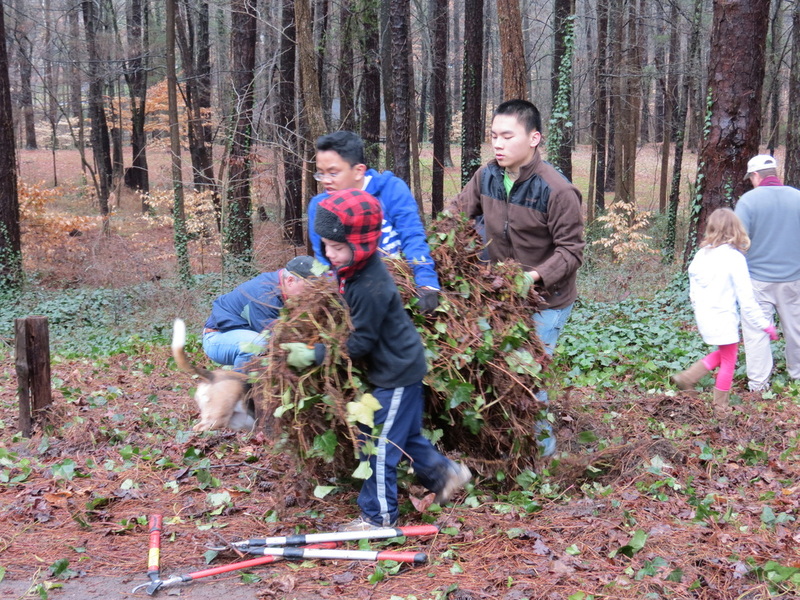 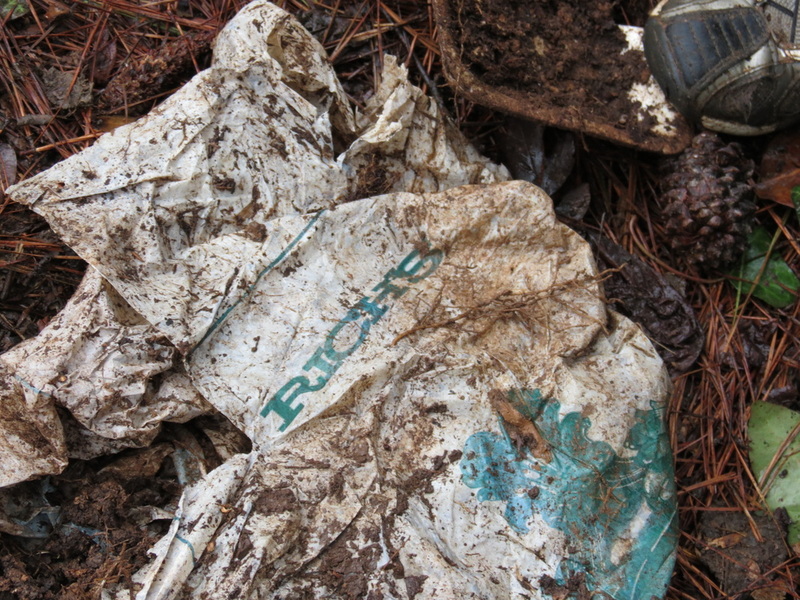 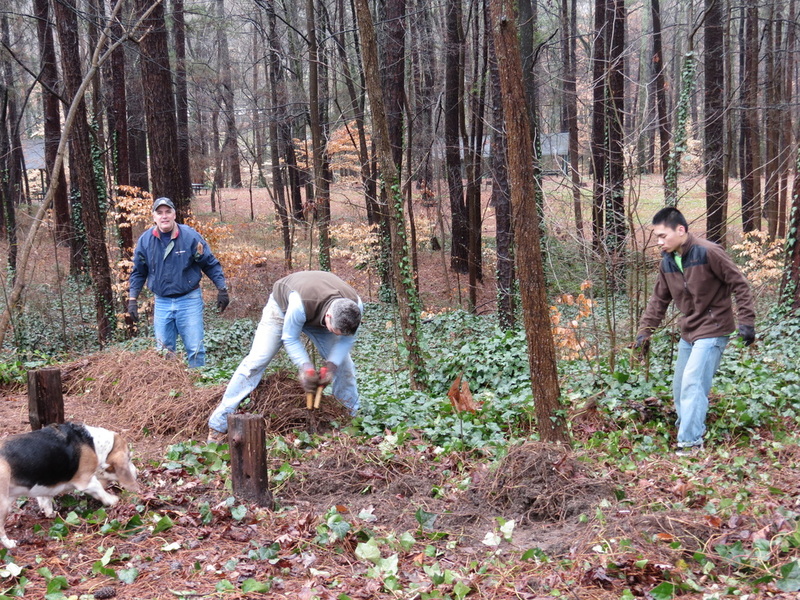 February 23rd's Volunteer Day -- Thanks to everyone who came out in the soggy weather! 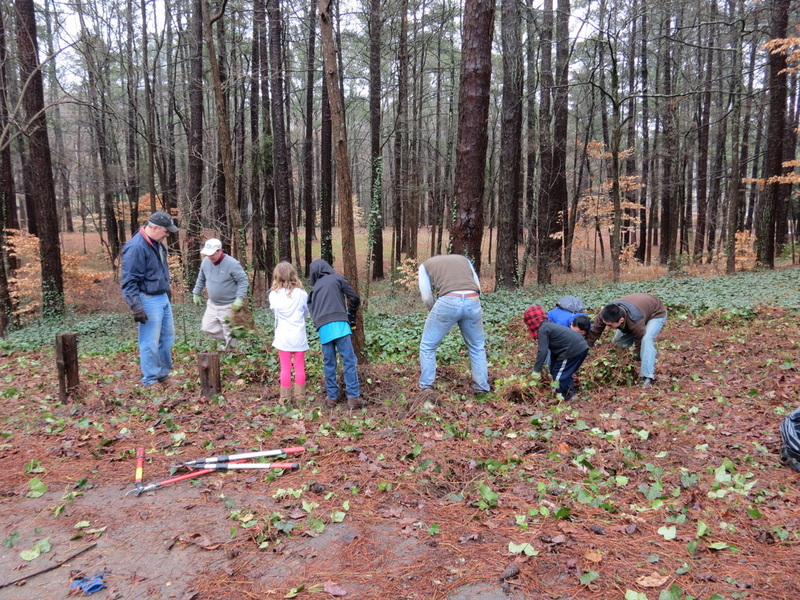 We made a dent in the english ivy (an invasive species) that's slowly been taking over the copse of trees near the playgrounds. 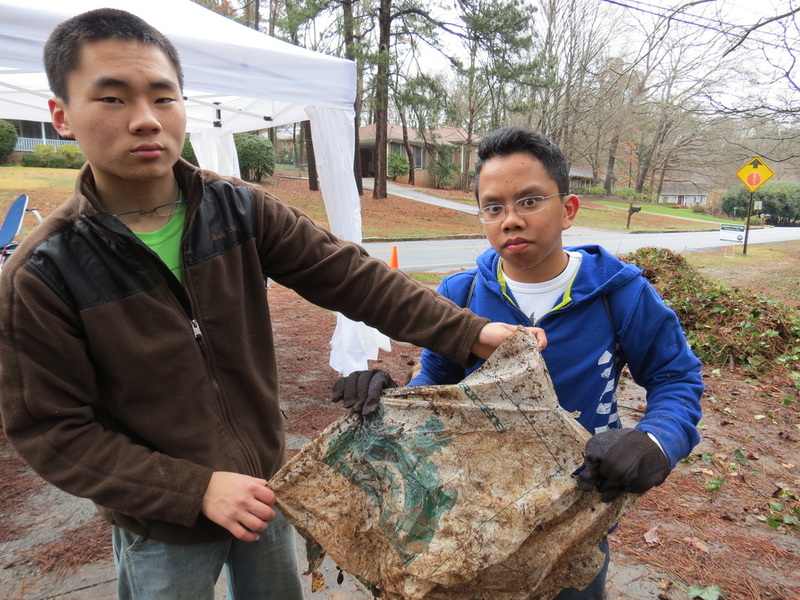 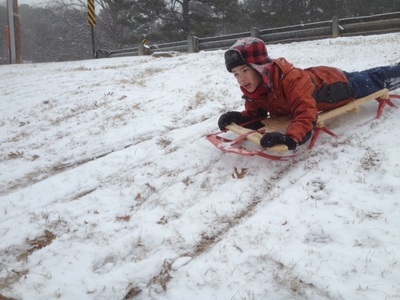 It helped having lots of help of all ages -- including some members from Chamblee High's Beta Club. 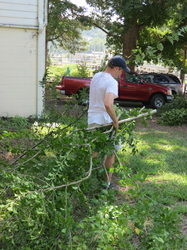 It was a team effort! 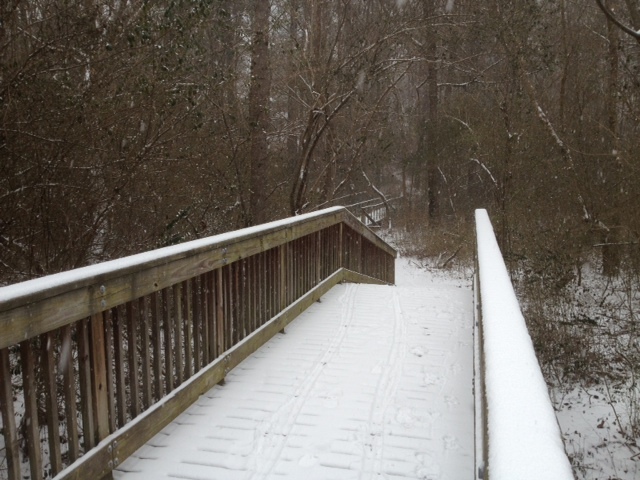 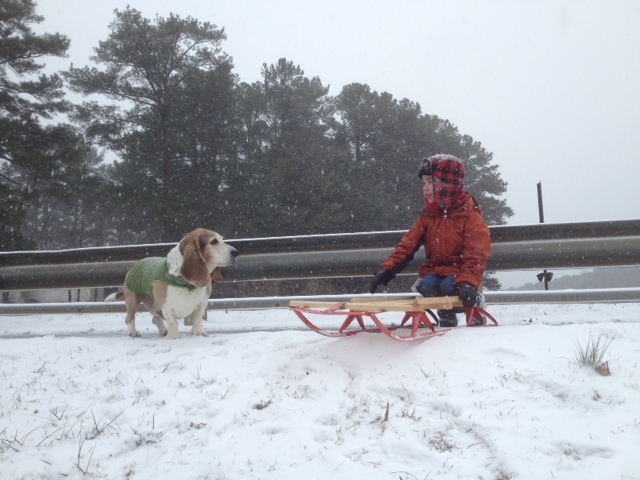 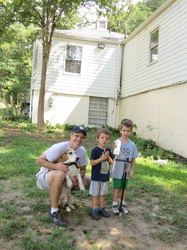 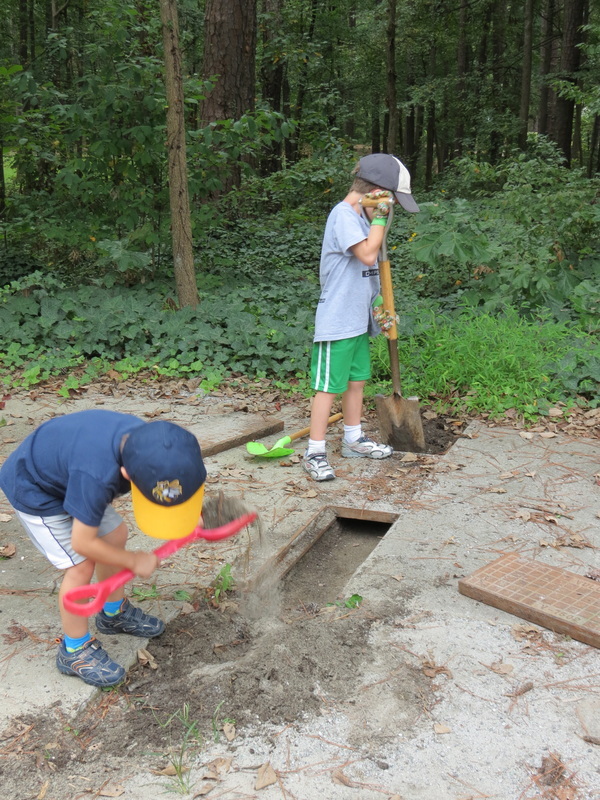 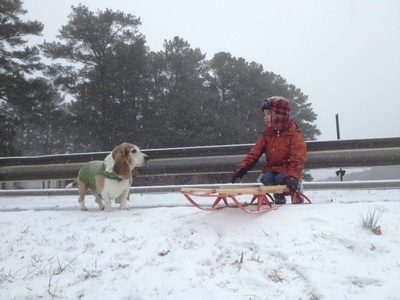 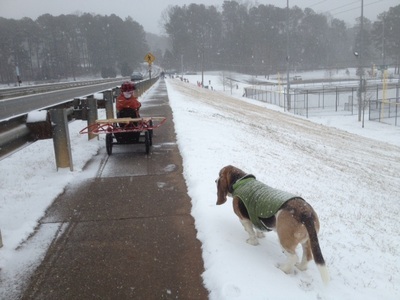 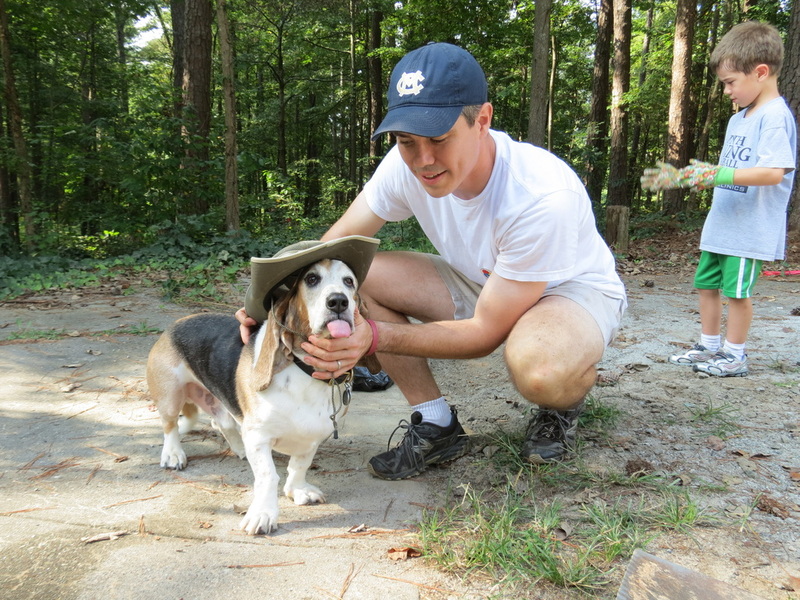 We neaten paths and caught-up with neighbors! 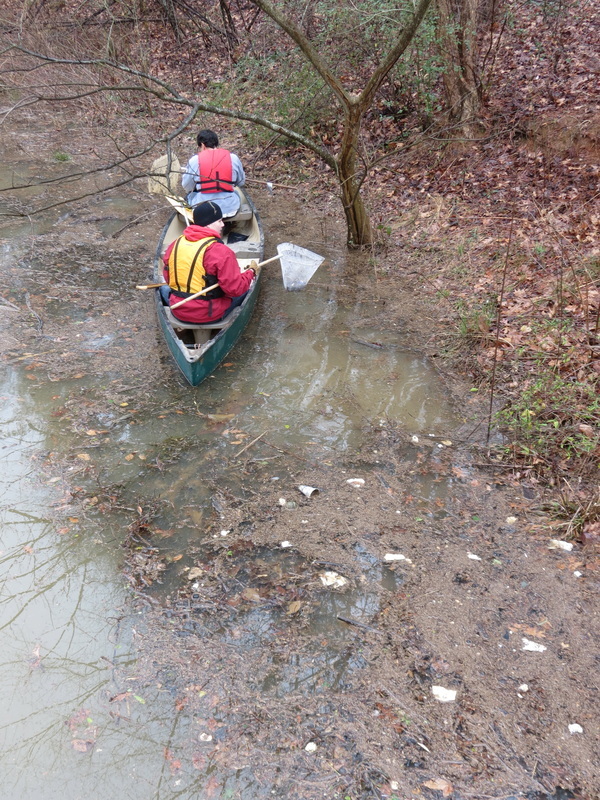 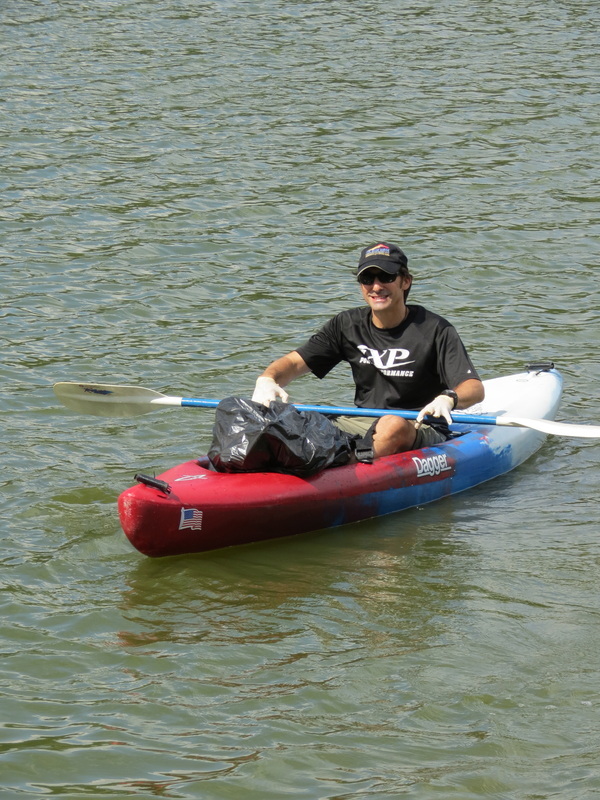 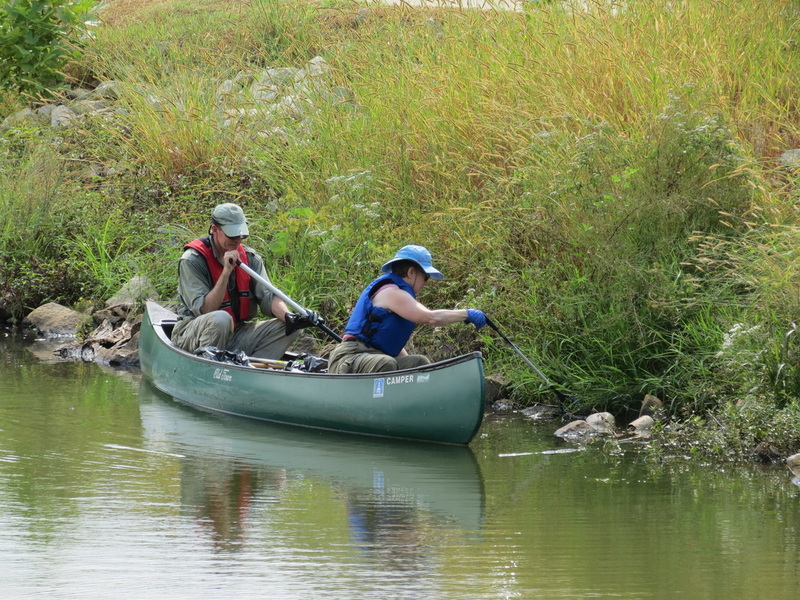 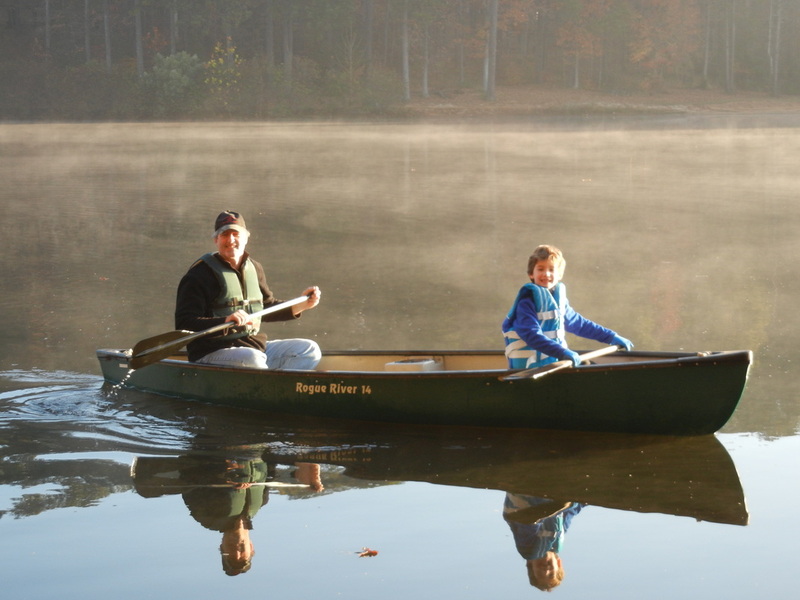 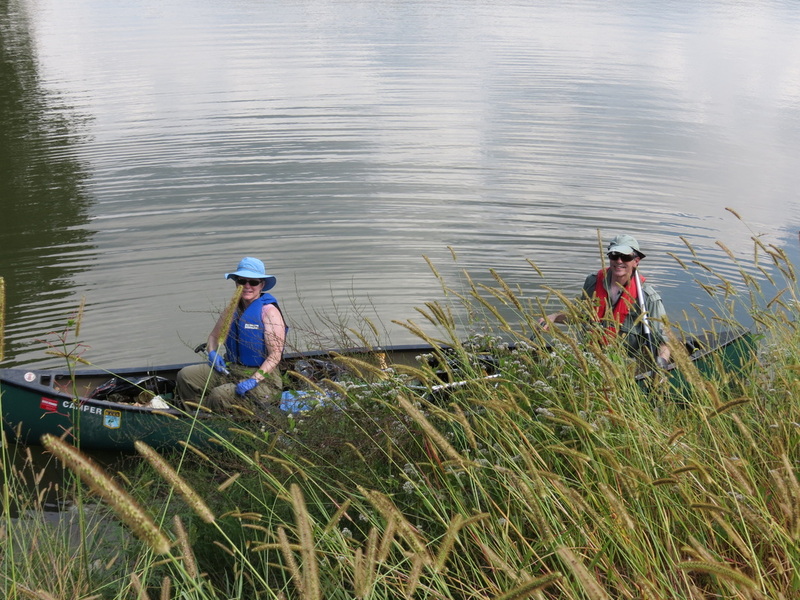 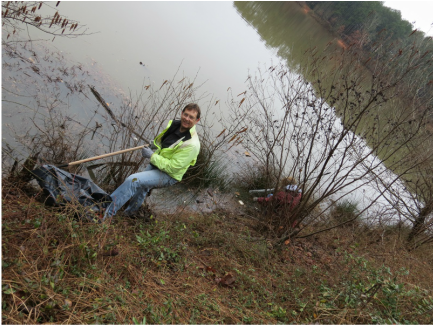 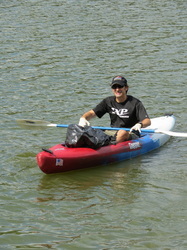 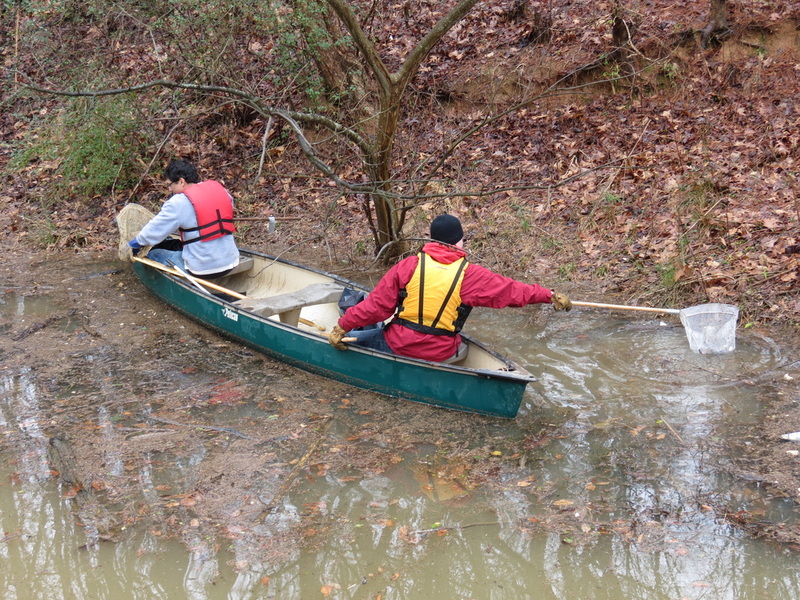 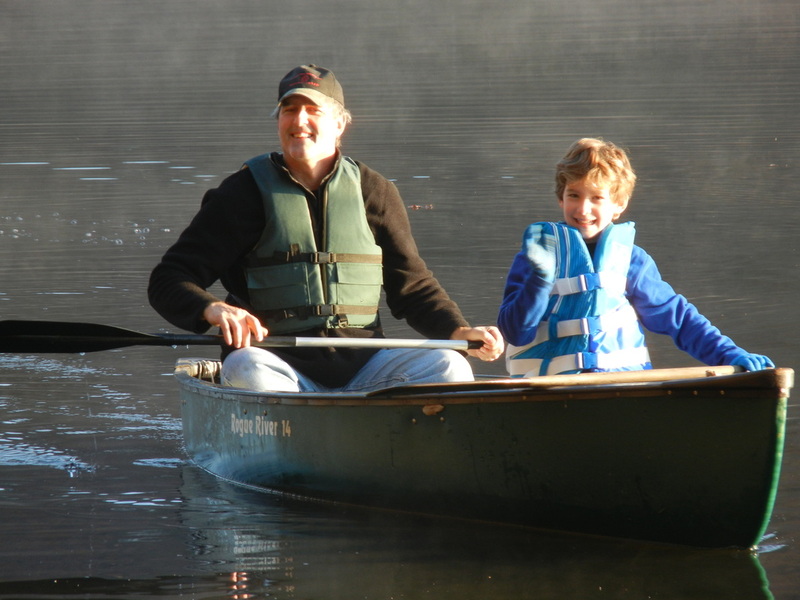 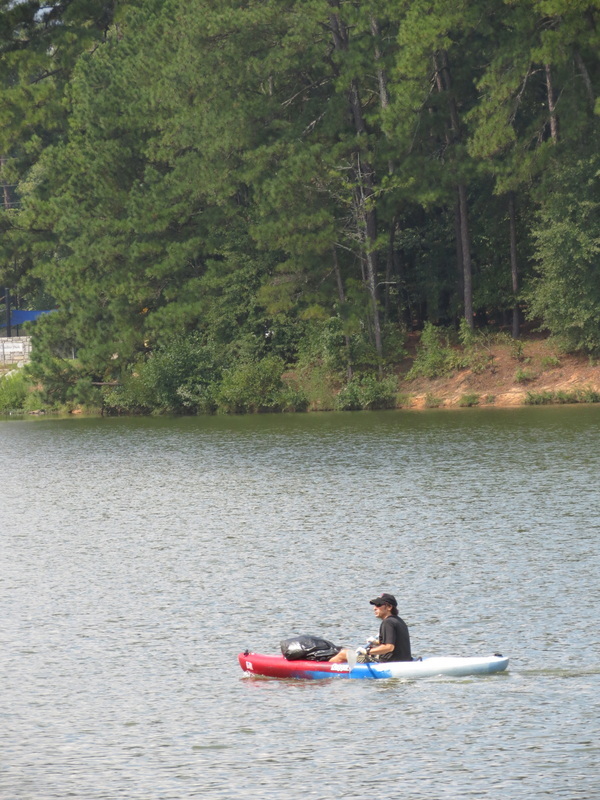 Rudy & Trey took a canoe into the cove and made a yeoman's effort to collect much of the debris that had washed into the lake due to the recent rains. 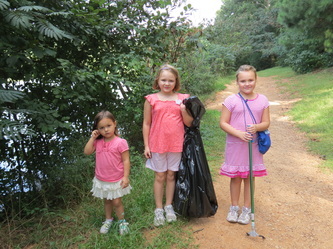 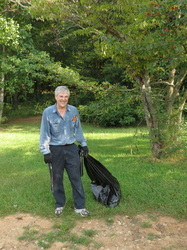 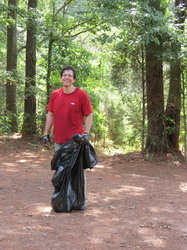 While other neighbors helped clean-up from the shoreline! 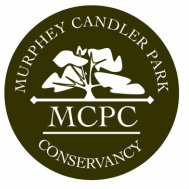 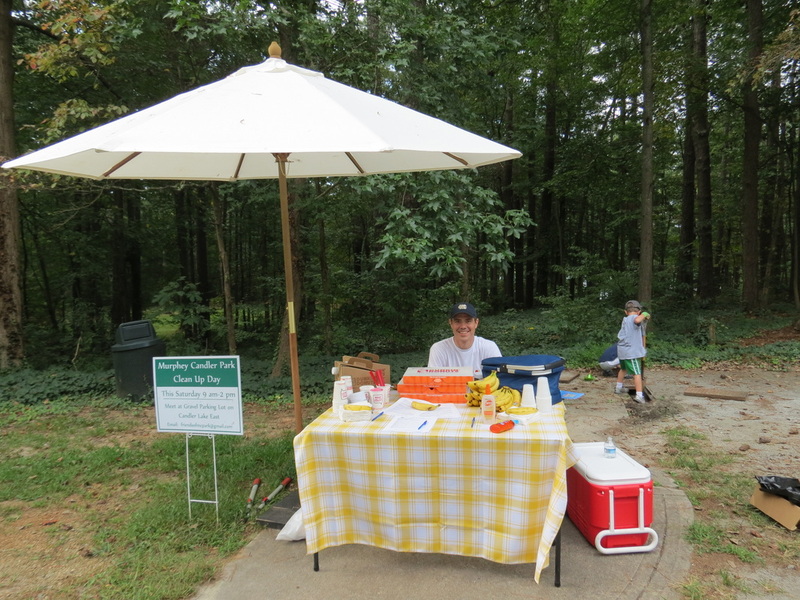 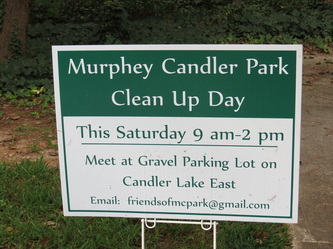 Murphey Candler Park HOA President. 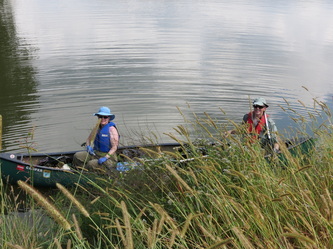 A small sampling of shoreline booty! 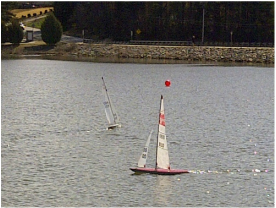 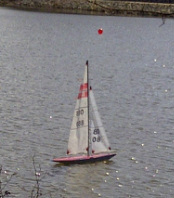 One of the many ways to enjoy the lake! 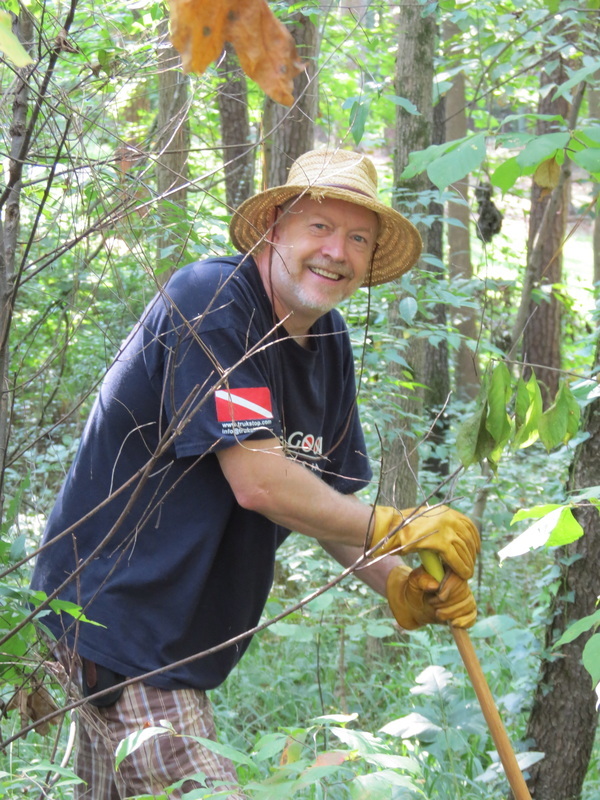 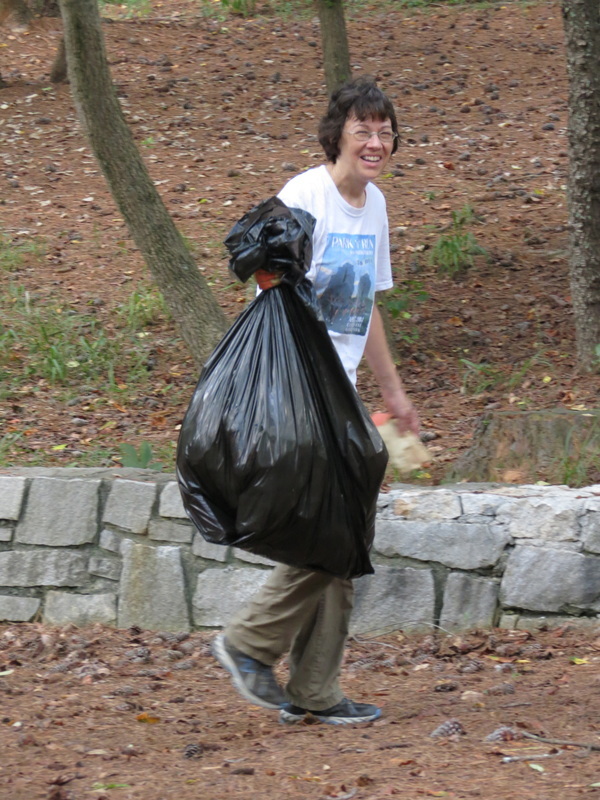 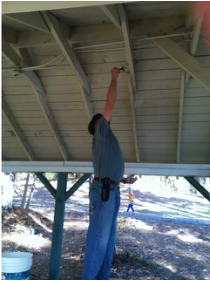 November 10th Park Clean-up Day -- Fixin' up the pavilions! 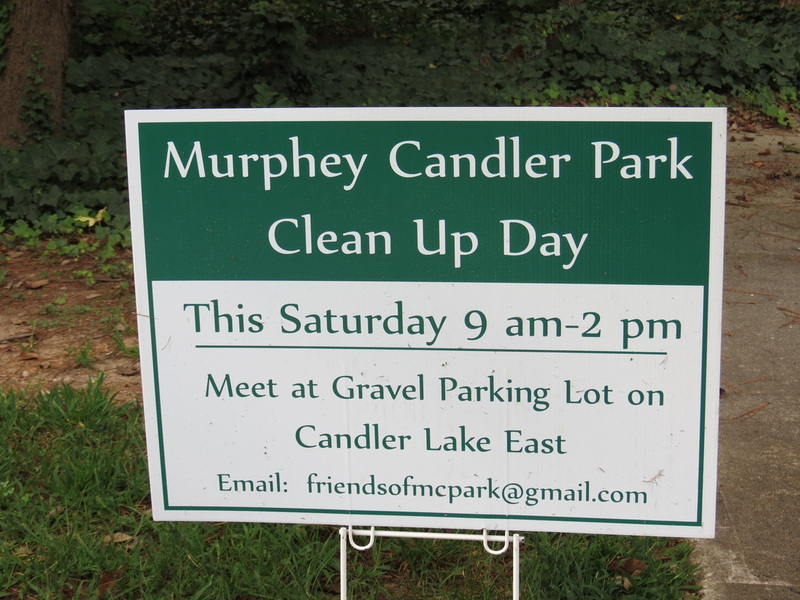 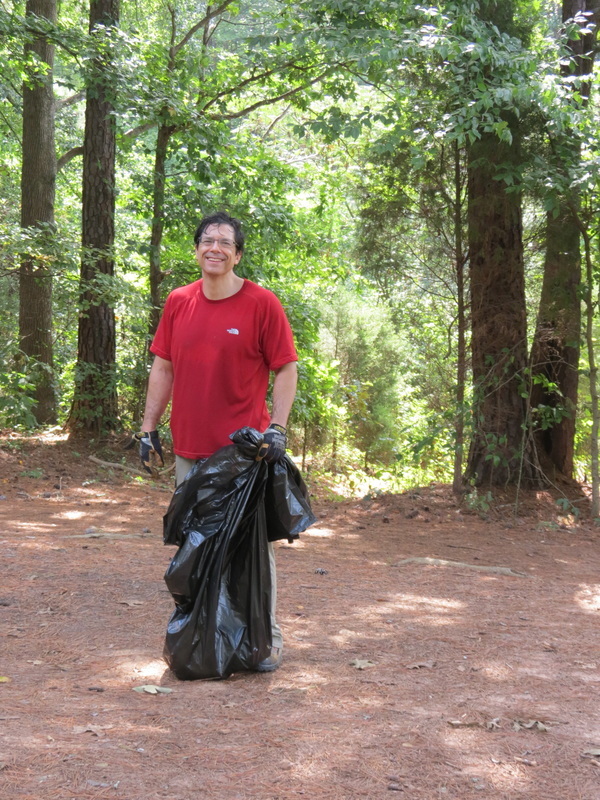 September 8th Park Clean-up Day! 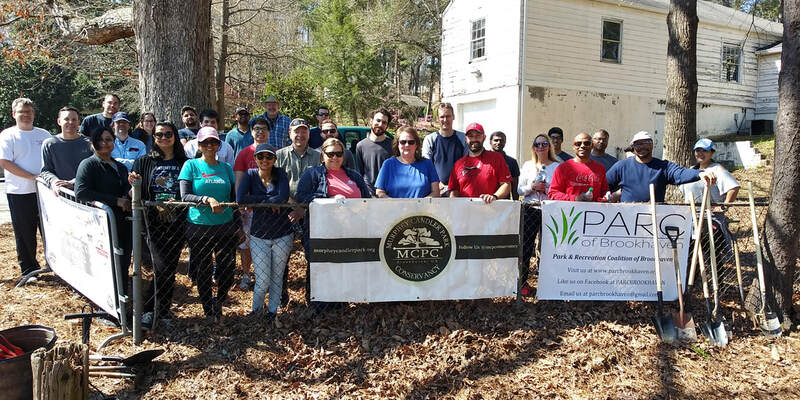 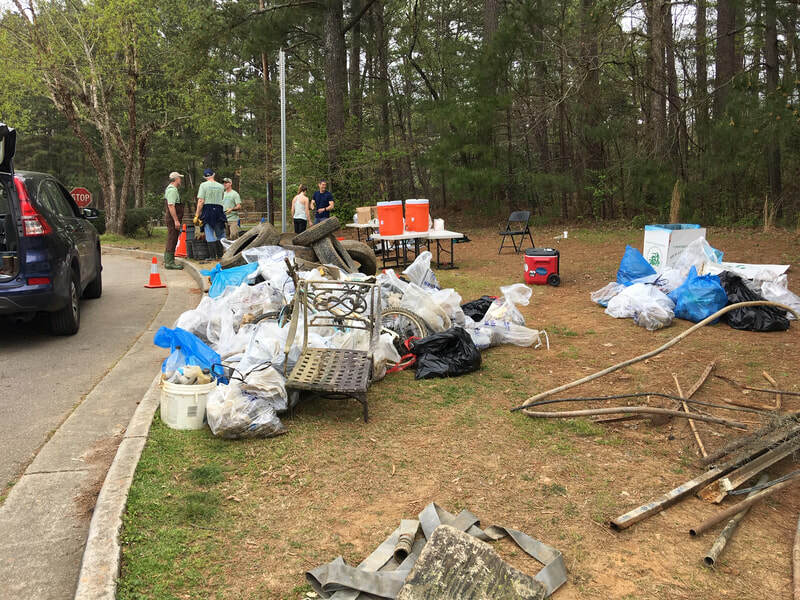 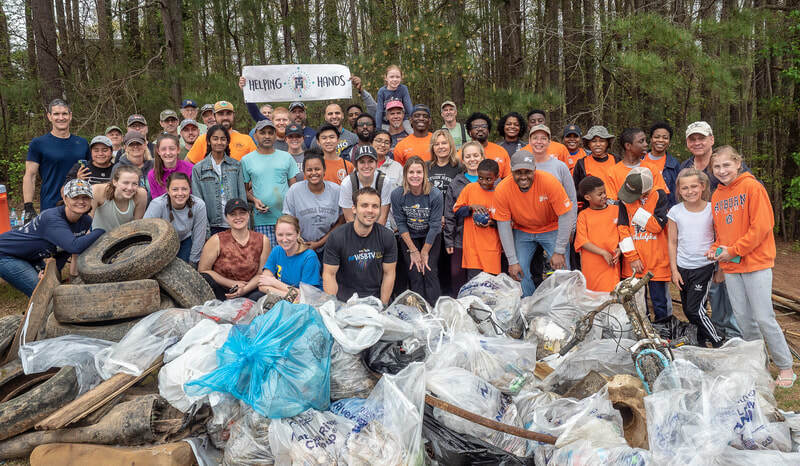 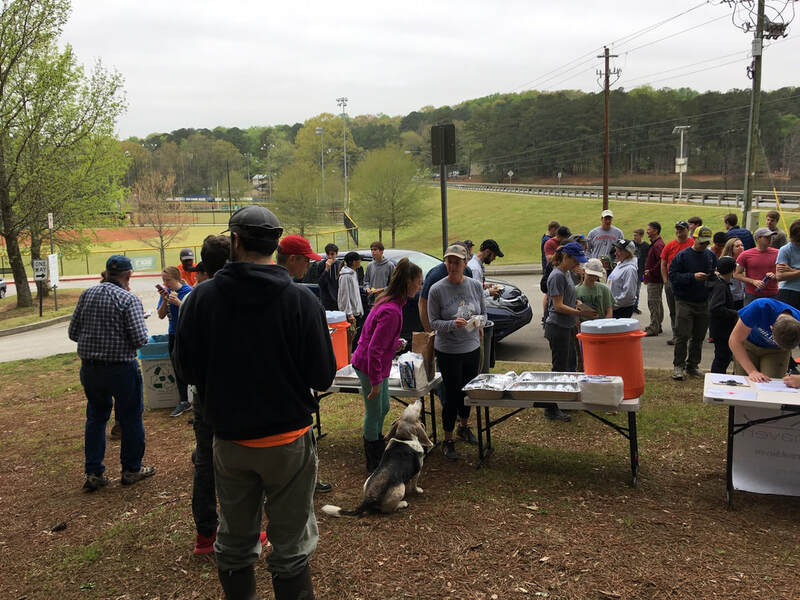 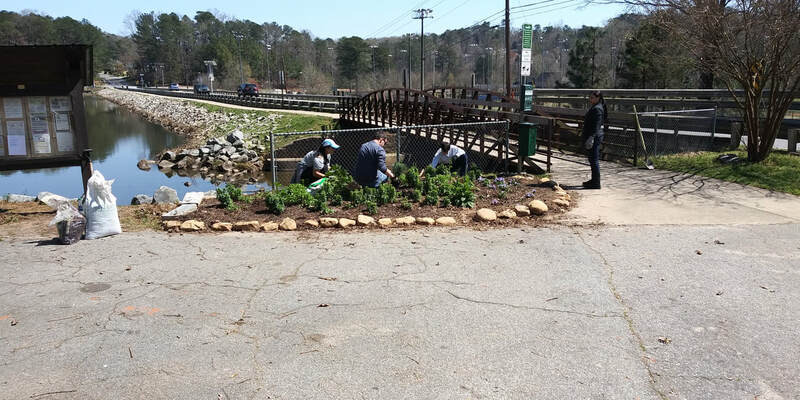 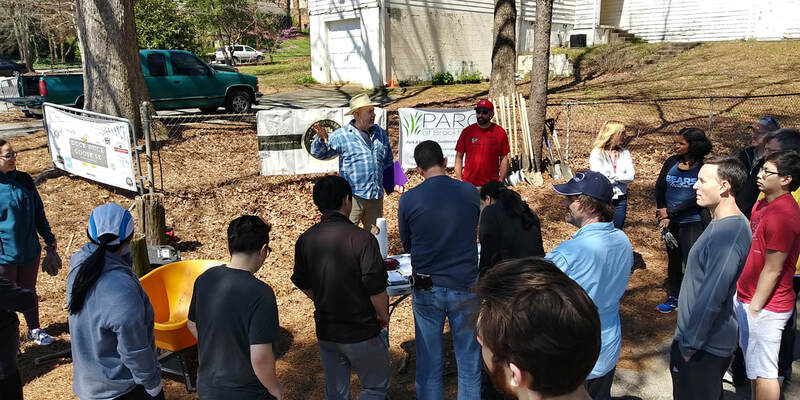 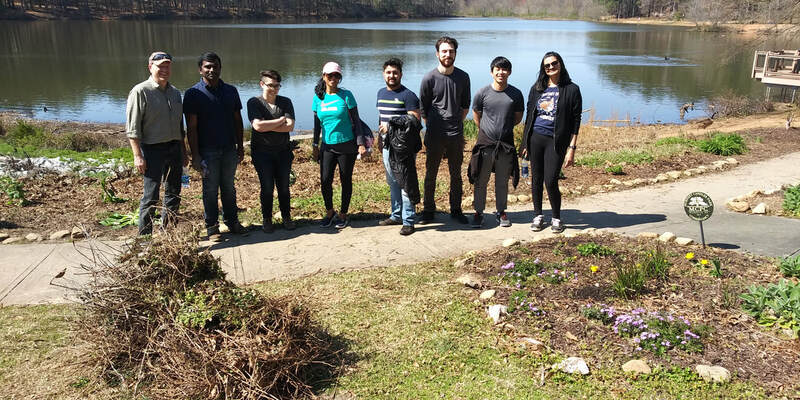 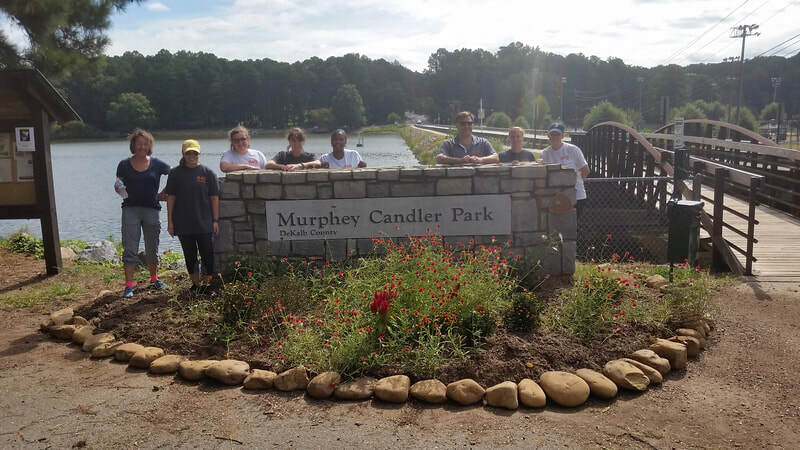 Thanks so much to all our neighbors and friends who picked up trash, cleared brush and ivy, and helped to make our park a more beautiful place to visit! 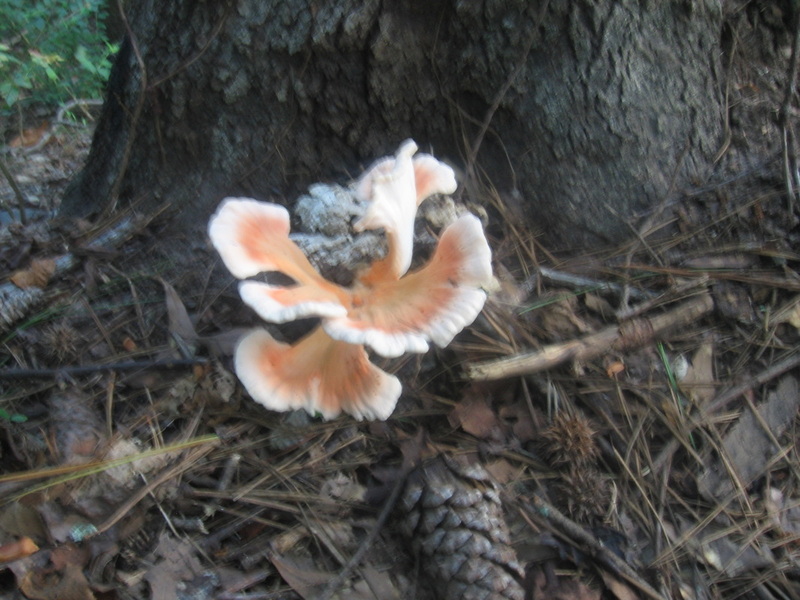 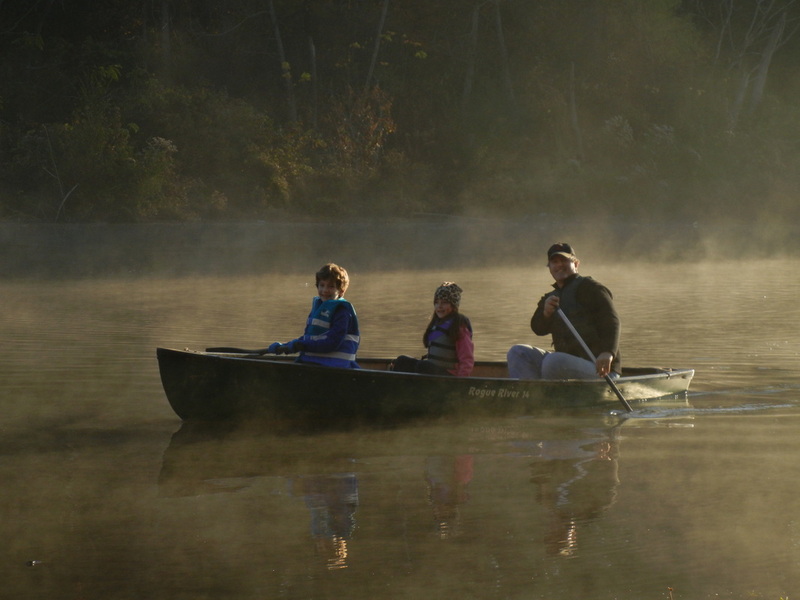 Check out flora, fauna, and scenic pics submitted by our community! 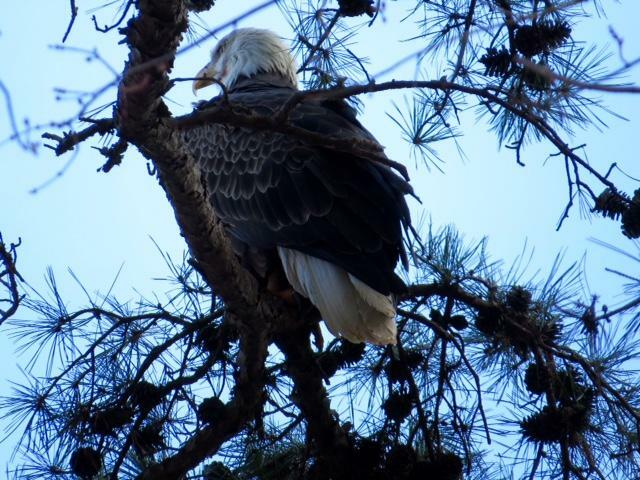 Thanks to our neighbors and friends who've kindly submitted some beautiful (and curious) pictures that capture our park through the seasons and the wildlife that inhabits our area! 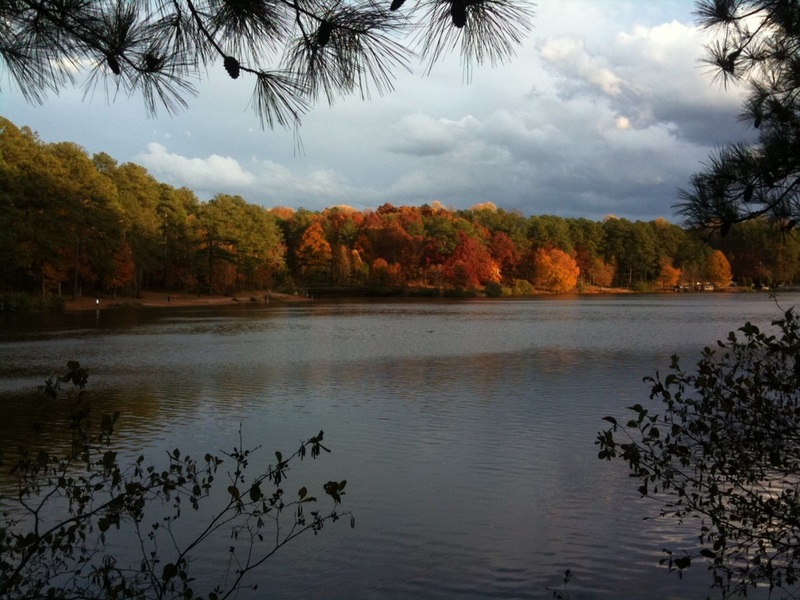 Thank you, Shane, for this beautiful fall photo! 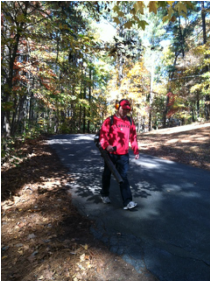 Thanks to Walter for these pics! Is that a badger?!!! 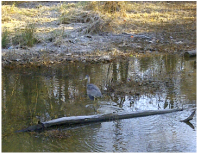 Thanks to Tiffany for these shots of our resident heron.